Are you planning to install tile in your home? Whether the tiling will be in your kitchen, bathroom, or any other area, be sure to find a screened reliable contractor for the installation. Otherwise you might end up with a really bad tile job, like the following awesomely horrible examples from the Bad Tile Job Hall of Shame. 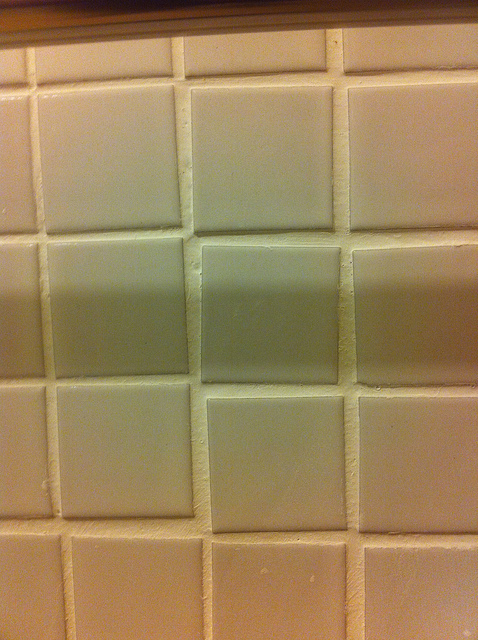 Crooked tiles are one of the signs of a bad tile job. I mean, how hard can it be to lay straight-edged tiles in a straight line? Very hard, according to this photo. 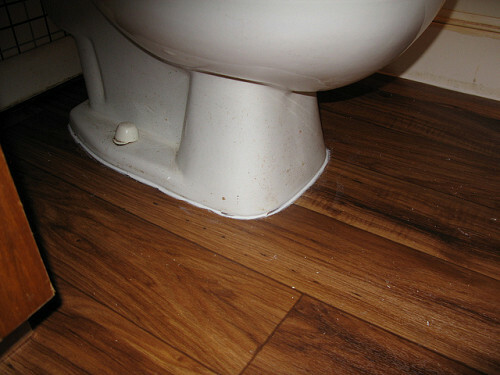 Here the laminate tile doesn't fit quite right around the toilet base. 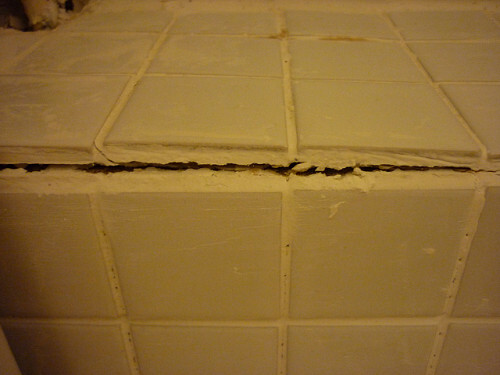 That's because it was cut incorrectly, which is one of the signs of a bad tile job. The contractor tried to cover up his mistake with caulk, but even the caulking is messy. "Measure twice, cut once," Grandma always used to say. Too bad this contractor didn't listen. 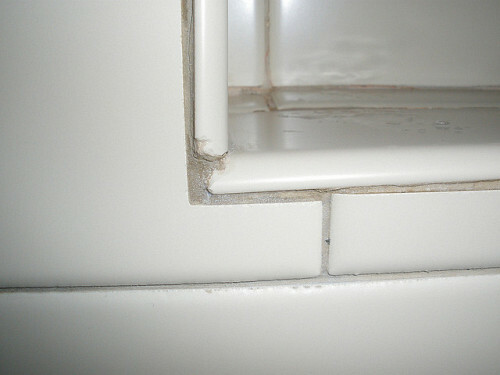 Sloppy tile cuts, as in the shower niche image above, are an obvious sign of a bad tile job. 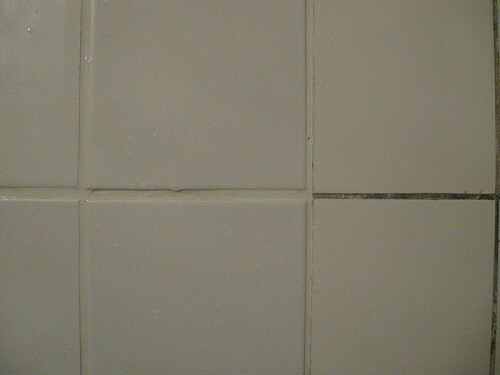 Huge, uneven grout lines make even nice new tile look ugly. That's why we classify them as a prime sign of a bad tile job. 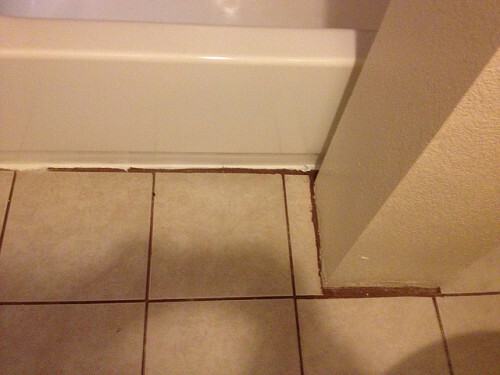 Once again, inconsistently-sized grout lines are a sign of a bad tile job. Tile like this wins the Bad Tile Job booby prize. Photos by AR109, ricearoni2002, deannefrank, and denverhomesco via Flickr Creative Commons, and Juandev via Wikimedia Commons.